Campania offers an extensive range of products in a variety of materials and styles from classic to contemporary. Our product line includes planters, fountains, and other unique décor items and garden accents. This extensive range allows Campania to meet each customer’s unique demands for superior and distinctive products. Our mission is to provide excellence in design, quality and service. Great American Inc. is a landscape firm started in 1984 and since then has been providing 'Traditional Quality with a Personal Touch'. More than 75% of our business comes from referrals and repeat customers. At Great American we are far more interested in getting to know you and what you want than telling you about us. Guardians Tree and Landscape is a quality tree, landscape, and plant health care company. The company was founded on the belief that beautiful, sustainable gardens is achievable by employing scientific, horticultural, and arboricultural practices, and incorporating them with the client's desires. We offer many tree care services that can help your property, including tree removal, tree trimming and pruning, stump grinding, insect and disease control, storm damage, tree and plant health care, as well as other landscaping services. 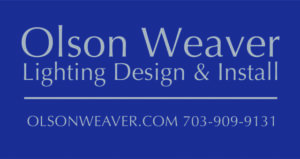 Olson Weaver LLC provides lighting design and installation services to clients in the DC, Maryland, and Virginia area. Our business specializes in unique solutions customized to meet each client’s specific preferences. As a family owned and operated business since 2005 we are dedicated to providing the highest level of customer service and satisfaction. Outdoor Illumination and Outdoor Irrigation Management is the region’s premier outdoor lighting and irrigation design/build firm. We enhance outdoor environments for aesthetics, plant health, conservation, and safety by maintaining high standards for design, implementation, and customer experience. We achieve these standards by valuing our clients, employees, and the community. Shorb Landscaping is an award-winning full service landscape company providing professional landscape/hardscape installation, and grounds maintenance services to residential, commercial, diplomatic and government clients in the DC metro since 1994. We cultivate naturally elegant properties with a commitment to providing the finest quality product and customer service with respect to the environment. Our landscape installation team creates outdoor living spaces with patios, walls, kitchens, fire pits, water features, and night lighting. This is complemented by beautifully planted landscapes for year-round interest. Customized irrigation systems, grading and drainage solutions, and sustainable landscape development are just some of the ways we service the individual needs of clients. Since 1933, Walpole has been transforming outdoor living spaces with our architectural fence, custom pergolas, outdoors kitchens and garden structures. We control the entire process from initial design to shop drawings, factory fabrication and installation. Country Casual Teak provides durable, beautiful furniture solutions to homes, gardens, museums, businesses, parks, schools, churches, and recreation areas around the country. Our 40+ year commitment to the highest standards of quality and customer service has earned us the trust of landscape designers, architects, designers and homeowners across the country. The Perennial Farm specializes in growing quality landscape-sized perennials, ornamental grasses, hardy ferns, flowering shrubs and vines, ground covers, seasonal flowers and landscape plugs. We grow over 1500 varieties and will even contract grow to support our customer needs. The mission of Babikow Greenhouses is to enhance the quality of people's lives by producing sustainable plants that thrive in local landscapes. Understanding the aesthetic and healing virtues of gardens, our committed owners and cherished employees work diligently to grow the highest quality plants and serve our customers with reliability, experience and continuity that emanates from 143 years and five generations of professionalism. 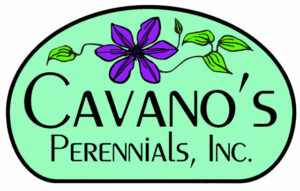 Cavano’s Perennial’s, Inc is wholesale nursery located in Kingsville, Maryland. Besides non-native plants, we sell a large amount of US native species and many cultivars of US native species. We strive to exceed our customers’ expectations by providing exceptional customer service and plant quality to the highest standard.